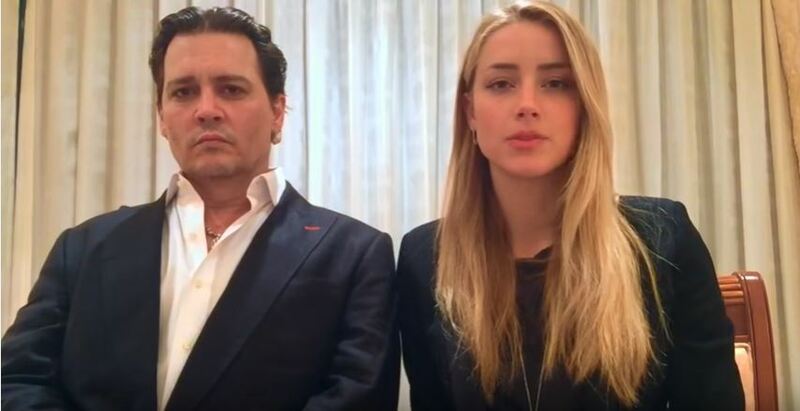 Last month, Johnny Depp and Amber Heard released an apology video for smuggling their dogs into Australia. Basically, when Amber failed to declare the couple were bringing their two Yorkshire Terriers, Pistol and Boo, into the country last year, they were taken to court over a serious breach of Australia’s quarantine laws. The charge carried a maximum penalty of 10 years in jail or fines of up to A$265,000 (£143,480), according to the BBC. Instead though, the couple escaped with a A$1000 (£541) good behaviour bond and were required to release an apology video. It looked like something out of North Korea, and the attempt at being genuinely apologetic was hilarious. And now, even Johnny Depp is poking fun at it. During a press conference to promote the release of Alice Through The Looking Glass, Depp essentially apologised for the apology and threw some pretty sarcastic shade at the ‘chipper’ Australians who took him to court. I would really like to apologise for not smuggling my dogs into England because it would have been a bad thing to do. But we got what he was saying. His joke was well-recieved during the conference by Australian co-star Mia Wasikowksa and director Tim Burton – who obviously had to darken the tone a bit. So, despite his super serious performance in the straight-faced video, it seems the actor can’t be accused of taking himself or the incident too seriously.